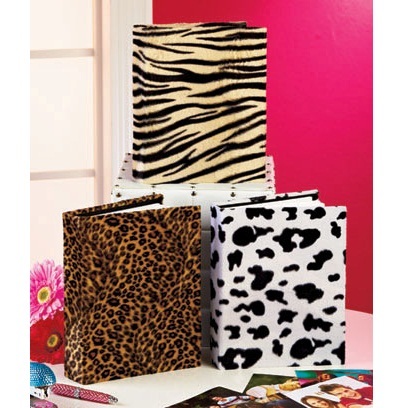 Keep your photos contained in a Plush Animal Print Photo Album. The attention-grabbing cover is also soft to the touch. Available in Zebra print, Leopard and Cow print. Holds 200 photos (4″ x 6″). 9-1/4″ x 7-1/4″. Tame those wildly disorganized photos!